This work isn’t just about giving. It is about celebrating generosity. We are proud to welcome community members into our Endowment Society, Legacy Society, Benefactor Society and Advisor’s Circle to recognize the commitment they’ve made to transforming our region through their generosity. Our Quad Cities Community Foundation Endowment Society celebrates individuals and businesses who have established an endowed fund at the Community Foundation and have made gifts of $10,000 or more to their fund during their lifetime. Each endowment is an expression of the unique interests and concerns of its founder. Some endowments are important tributes or lasting memorials to loved ones. Others are an expression of the founder’s commitment to a particular cause—education, the environment, homelessness, and many more. And some are discretionary endowments that allow us flexibility to respond to changing community needs over time. Let’s talk about the benefits of joining hundreds of people in our regional community part of our Endowment Society. Call Anne Calder at (563) 326-2840 or email us to consider your options today. The Legacy Society honors community members who have included the Quad Cities Community Foundation or our Geographic Affiliate Funds in their estate plans. Legacy Society contributors have committed their gifts to various charitable causes, but share one thing in common: they all look forward by giving back. Many donors are surprised to learn how easy it is to make a planned gift that will support their favorite causes. Legacy Society donors tell us they want a strong future for our community, and choose to make that a reality through their generous planned and deferred gifts like bequests in a will, gifts of life insurance, charitable gift annuities, and many more. For information on The Legacy Society or if you would like to include the Community Foundation in your estate plans, contact Anne Calder at (563) 326-2840. We’re happy to sit down with you, and your financial advisors, to help you make the legacy gift right for you and your family. The Benefactor Society honors community members who have generously gifted $50,000 or more to the Friends of the Foundation Endowed Fund, which supports the work of the Community Foundation every day. Our annual operations go far beyond simply making grants that advance charitable activities—we identify current and emerging issues, channel resources to address pressing needs and promising opportunities and help prepare for our region’s future. The Community Foundation serves as a catalyst to build, strengthen and foster positive change in the Quad Cities’ urban and rural settings through philanthropy that is visionary, diverse and inclusive. We convene charitably focused individuals, for-profit organizations and non-profit organizations to coordinate resources and create positive change in our communities. Your generous gifts ensure that you are helping the Quad Cities Community Foundation facilitate and inspire philanthropy as the leading source for philanthropic vision in the Quad Cities region. Members of the Quad Cities Community Foundation Advisor Circle serve their clients through inspired legacy planning. 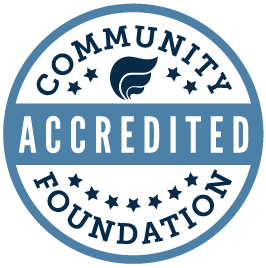 Each member has assisted one or more donors to establish a gift of $1 million or more at the Community Foundation to benefit our region.